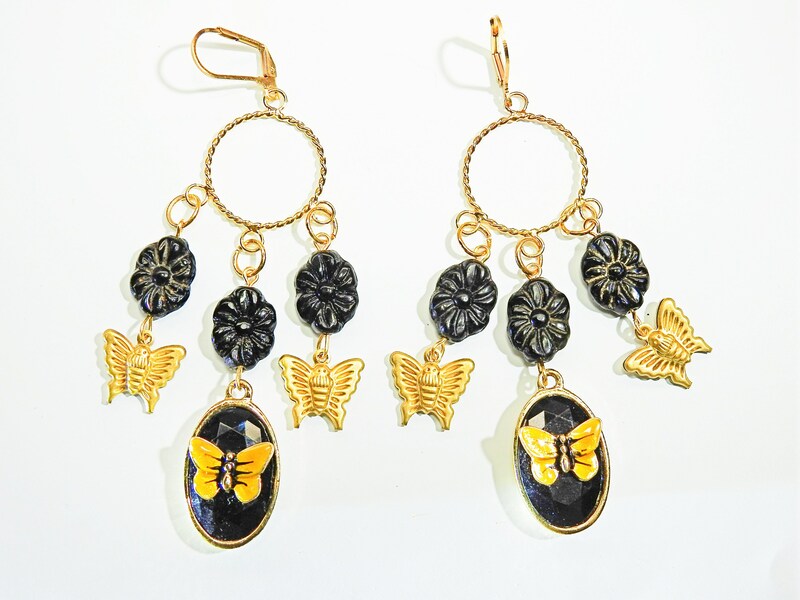 These boho style black long butterfly earrings are your new jewelry box favorite! 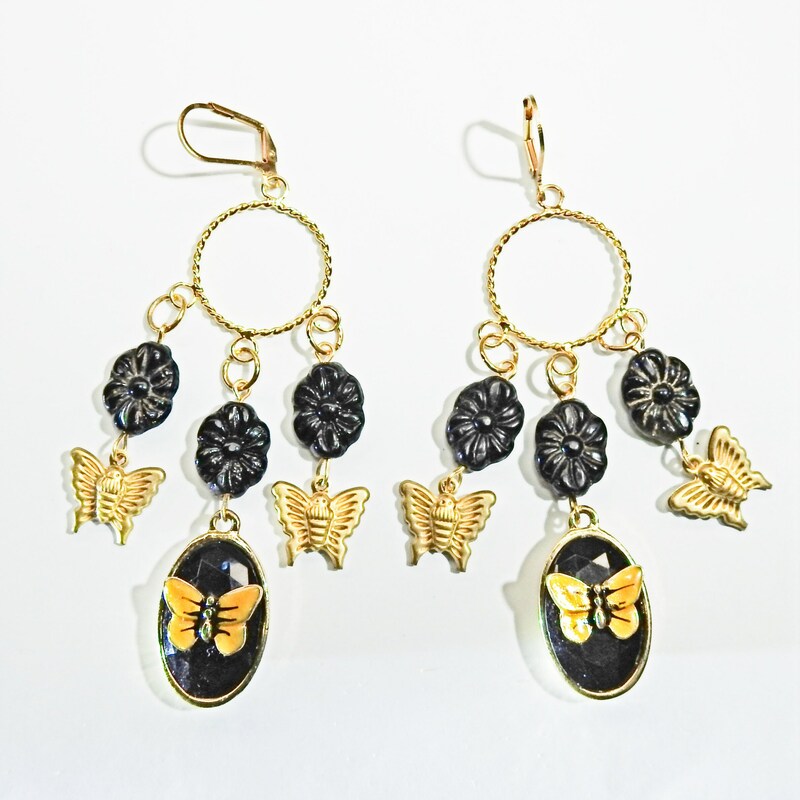 Inspired by the nature, you will love these chandellier earrings for their very cute butterfly cabochon and their adorable dark floral tiny vintage beads. 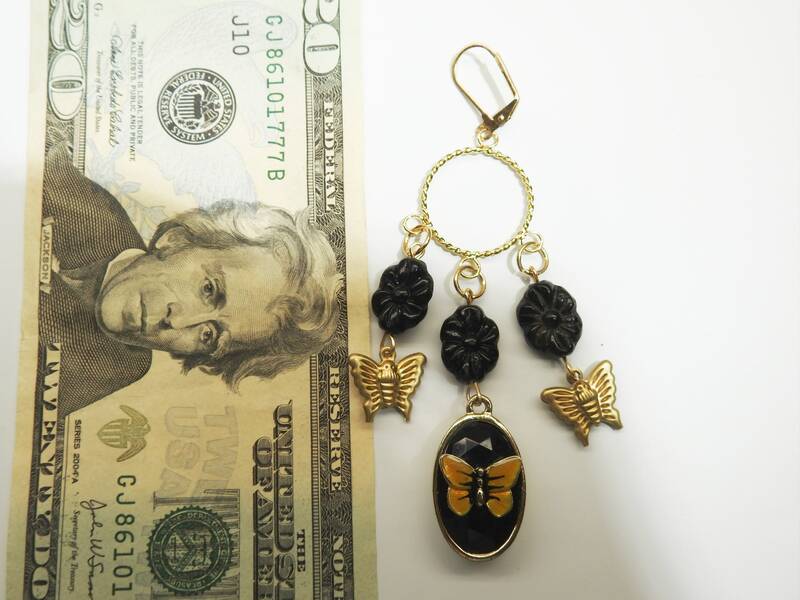 This listing is for ONE pair of cute botanical earrings. 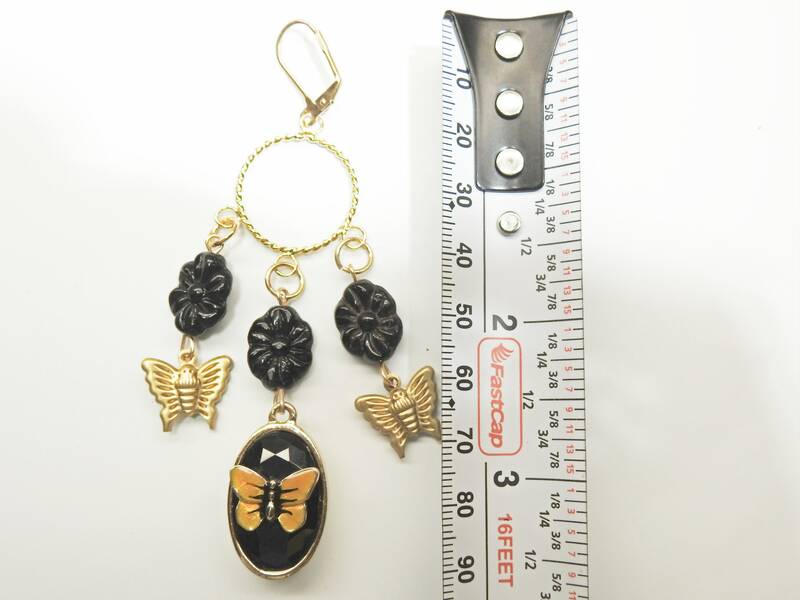 ● Lenght: 3.5 in // 9 cm. ● Pattern: Butterfly and flowers. 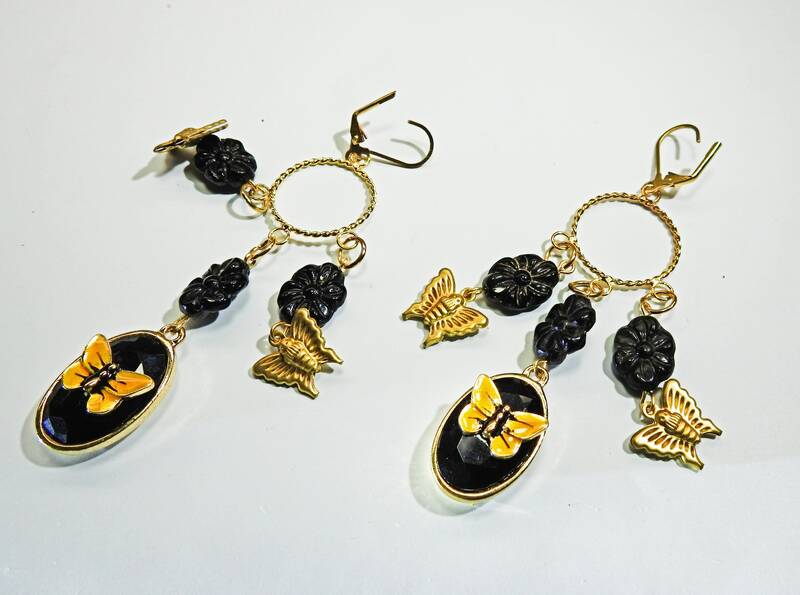 ● Made from vintage style cabochon from Virginia, Usa; Floral vintage beads from Rhode Island, Usa; and brass core charms from Victoria, Canada. 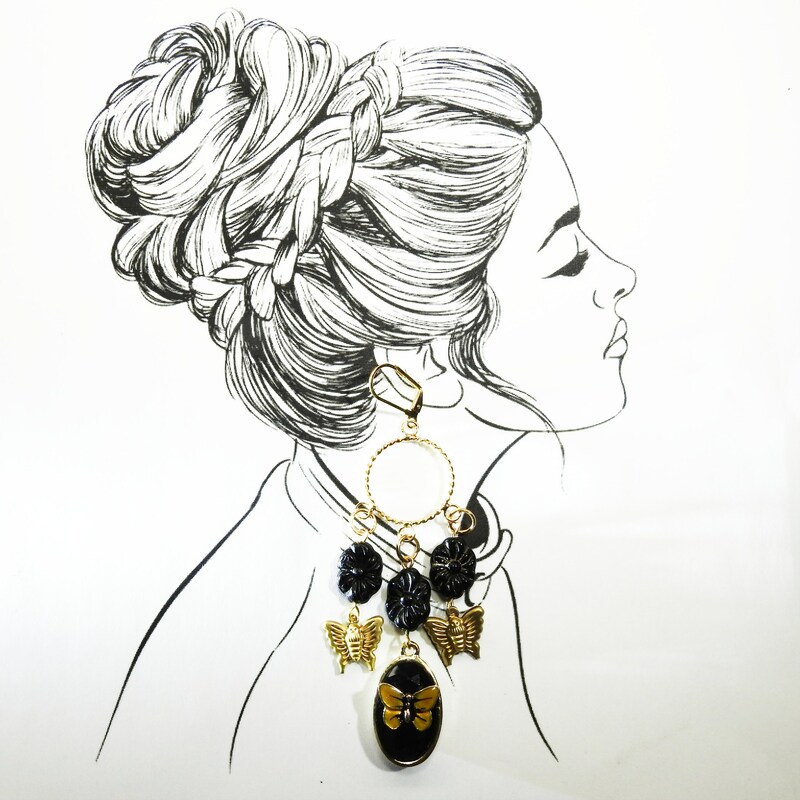 ● Tips: long dangle earrings will help to elongate your face. 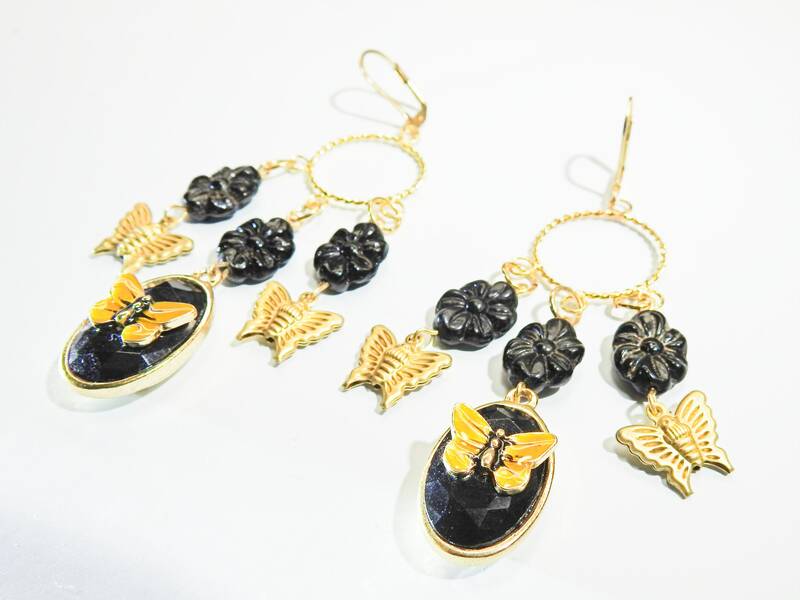 Thank you for exploring these nature jewellery style, long butterfly earrings!